This is about the third time I’ve tried to write this review and holy cow am I nervous. There’s like a 95% chance that you, the person reading this, is going to hate what I’m about to say. Okay, I’m sad to announce this, but I didn’t like Harry Potter and the Chamber of Secrets. In case you missed my post on the first Harry Potter, I should explain that I’m a twenty-year-old who is reading though this magical series for the first time. Yeah, I know, I’m late to the party. And that’s part of the reason why I’m not enjoying these books as much as I should be. My first problem with the series; the books have yet to delve into any plotlines that are dark or intriguing enough for my tastes. I’ve been told time and time again that the material gets heavier as the series progresses, but this book could have definitely used some of that darker source material. It came very close with the ‘students being petrified’ plot line, but it was as if J. K. Rowling was afraid to take it any further. My next problem is that the series has yet to seem original to me. I’ve seen this exact character dynamic done so many times that reading it here just feels repetitive. Aside from those issues, the book just feels really uneventful overall. 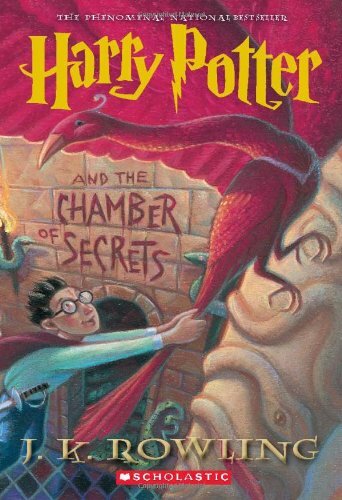 I mean for a book with ‘Chamber of Secrets’ in the title, the actual Chamber of Secrets isn’t mentioned until page 180. Yep, the actual plot of the book doesn’t start until halfway into the book. Like, what even happened up until then? I don’t even remember. *minor spoiler* Was anyone else hoping that Percy Weasley was the culprit? In the end, I can’t say this was a bad book. It was all good fun, but ultimately I forgot about it entirely two minutes after reading. Stay tuned for my review of Prisoner of Azkaban!